Starting from Platis Gialos we head off towards Ios. Ios Island in the Cyclades is one of destinations in Greece for young people and groups of friends looking for a party holiday experience but also for young at heart visitors or couples looking for a beautiful and romantic destination. Hora of Ios has been declared as a traditional settlement and it’s a typical Cycladic picturesque village. Visitors will be highly impressed with the distinctive architecture. Agia Theodoti Beach: The beach of Agia Theodoti is one of the quietest one in Ios and represents the ideal spot for those seeking for some quality, relaxation time away from the crowds. You can swim in the crystal clear waters and enjoy the sun in the golden sand or have an amazing meal in one of the traditional taverns of the area. Kalamos Beach: The beach is isolated and if you are lucky you might not find anybody there! Enjoy swimming and snorkeling in the amazing crystal, clear turquoise waters. 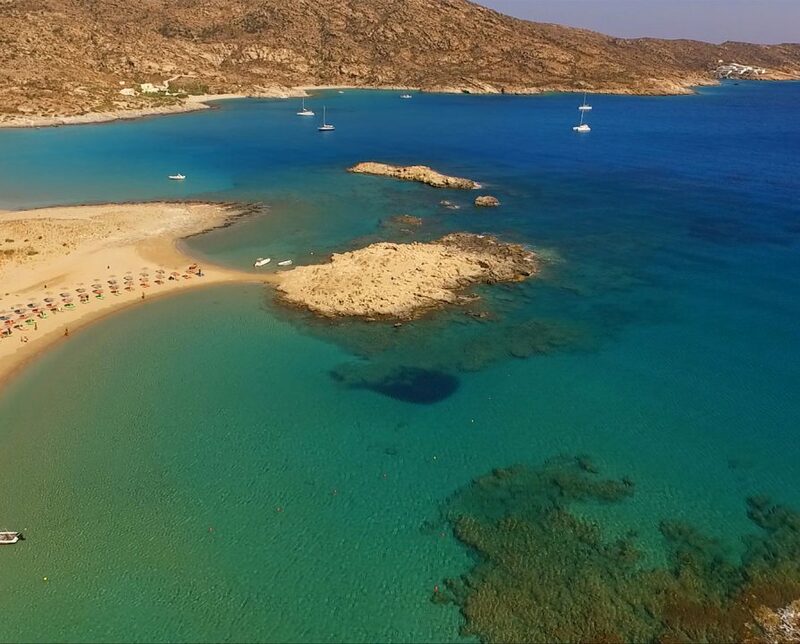 Magganari Beach: Magganari is definitely one of the most beautiful beaches of the Aegean. Three quiet coves form an exotic lagoon. Protected by waves and wind, these coves are ideal for relaxation and valuable quiet time, away from the bustling crowds.